Greenland—the world’s largest island—is also home to one of the world’s largest ice sheets (after Antarctica). If Greenland’s two-mile-thick ice sheet melts completely, it would ultimately raise global sea level by 23 feet (7 meters), drowning significant portions of coastal regions under water. It would also add large quantities of fresh water to the ocean, with the potential to change ocean circulation patterns that could, in turn, affect rainfall patterns, fisheries, and climate. 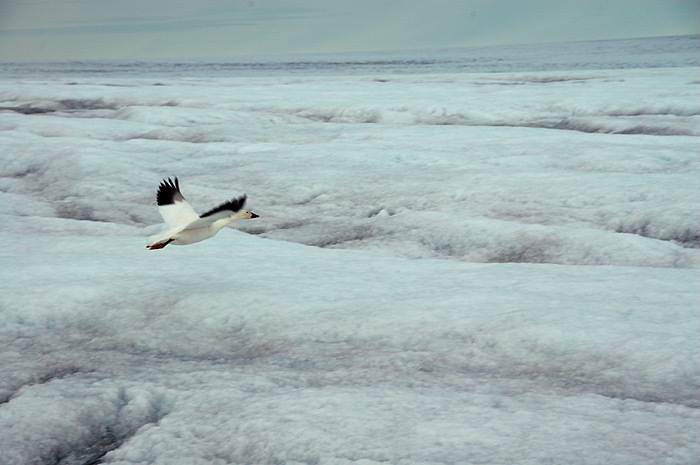 to learn how Greenland’s ice sheet is disappearing. They are investigating glacial lakes, which form atop the ice sheet each spring and summer as returning sunlight melts ice and snow. They have found that as lake grow larger, large cracks can open up at their bases, allowing the lake water to drain in a dramatic surge all the way the bedrock at the bottom of glaciers. The water lubricates the base of the glacier, like grease on a railroad track, allowing glaciers to flow faster toward the coast and discharge more ice to the ocean. As global temperatures rise, more lakes and cracks may form, accelerating the flow of ice to the sea. Our fourth Polar Discovery expedition will take place entirely on ice—and that includes eating and sleeping. 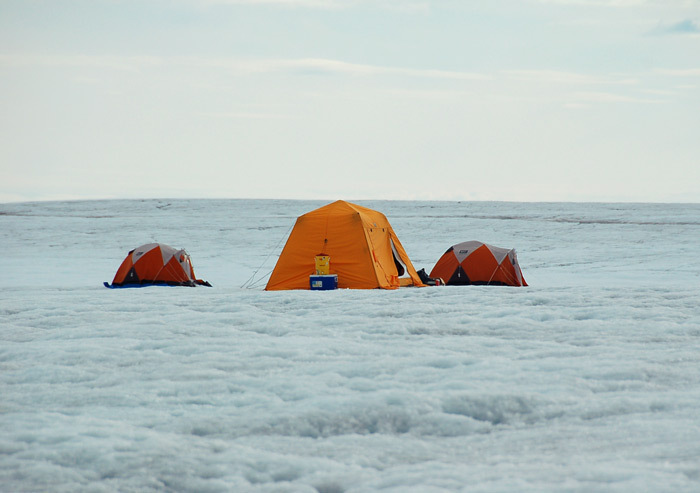 Except for short hotel stays at the beginning and end of the trip, we will camp in individual tents directly on the ice sheet. Helicopters will fly in the team with its entire supply of food, clothing, and science provisions, return once midway through the trip to help move camp, and return again to collect the team at the end of the field work. 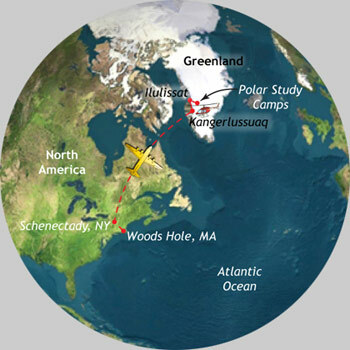 For safety, we’ll check in daily with the National Science Foundation, and we’ll communicate with Polar Discovery readers via satellite phones and computers powered by solar energy. Other than that, it’s just us and a whole lot of water and ice. 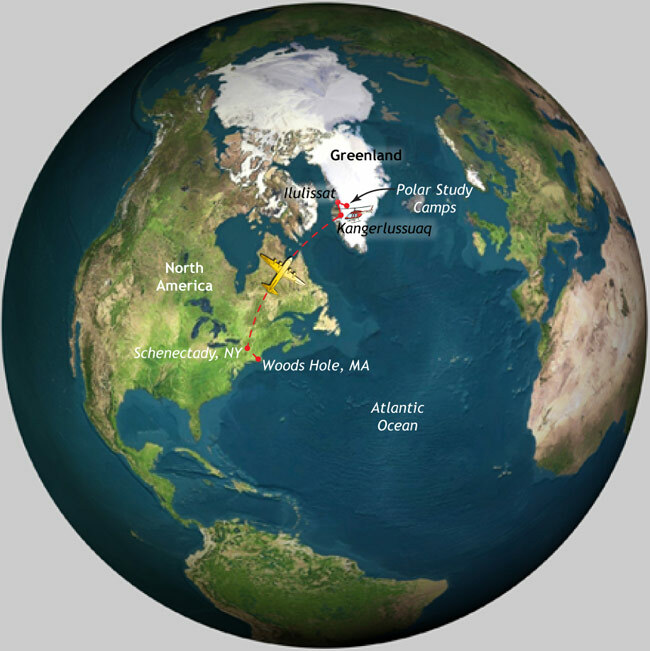 Whales, musk ox, reindeer, seals, birds, and polar bears all call Greenland home but do not live on the southwestern corner of ice sheet where we will work and camp. Also, there are no penguins in Greenland (they live in the southern hemisphere). In year’s past, wildlife sightings at the Greenland camps included a single fly that likely flew in with a helicopter, and one snow goose. This research was funded by the National Science Foundation, NASA, and WHOI.